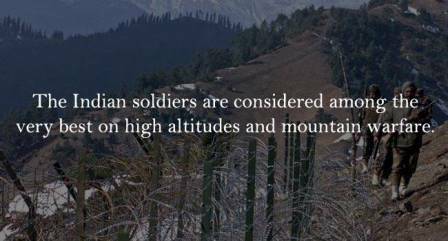 The Indian Army is the land-based branch and the largest component of the Indian Armed Forces. The President of India serves as Commander-in-Chief of the army, and it is commanded by the Chief of Army Staff (COAS), who is a four-star General. The primary mission of the Indian Army is to ensure national security and unity, defending the nation from external aggression and threats, and maintaining peace and security within its borders. 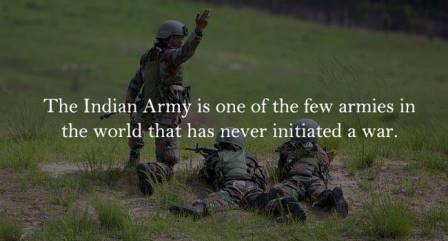 While we can’t find enough reasons to be proud of Indian army because we owe so much to the Indian Army. They are the reason we sleep peacefully at night, a perfect example of bravery. But there’s still so much we don’t know about our men of steel. Take a look, educate yourself and be proud of Indian Army. 1. Wars won by Indian Army. 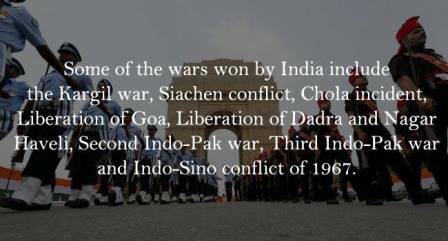 Kargil War, Siachen Conflict, Chola Incident, Liberation of Goa, Liberation of Dadra & Nagar Haveli, Second Indo-Pak war, Third Indo-Pak was and Indo-Sino Conflict. 2. They have never initiated a War. 3. It is the 3rd biggest military contingent in the World. 4. 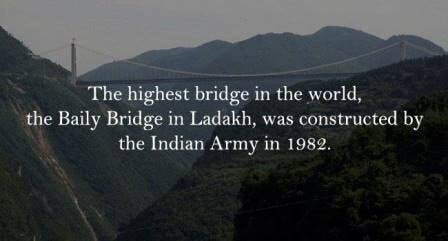 Highest Bridge in the World was constructed by Indian Army. 5. 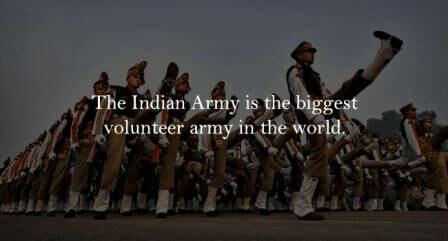 Biggest Volunteer Army in the World. 6. 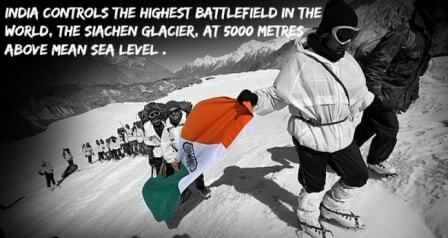 Indian soldiers are among the bravest in the world. 7. They have carried out one of the biggest civilian rescue operation in the world. 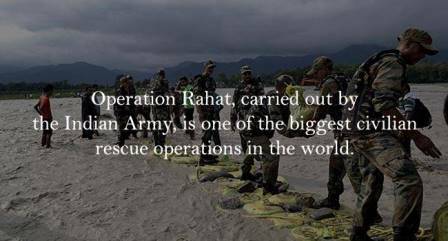 The operation was named as Operation Rahat. 8. 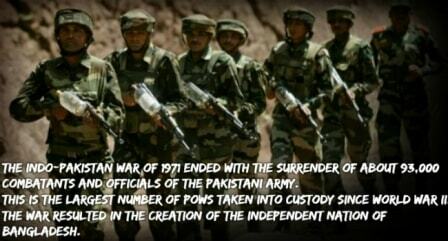 The Indo-Pak war of 1971 ended with the surrender of about 93,000 combatants. 9. The Indian Army also trains cadets from outside India. 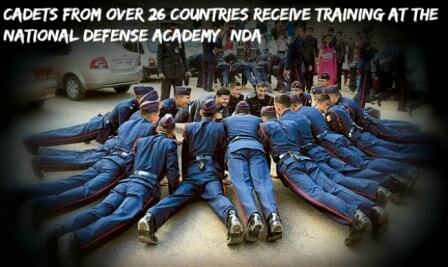 Cadets from over 26 countries receive training at NDA. 10. They control the Highest Battlefield in the World. Read more: Top 10 Nations With The Strongest Military In The World – 2016. 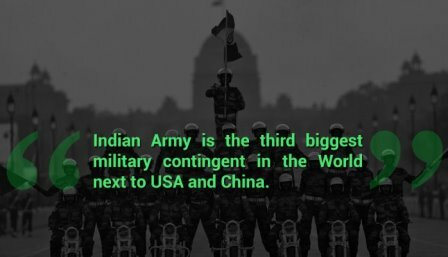 After reading these facts, are you proud of Indian Army? If yes, then please share it with your friends and loved ones.